Numerous times during the past years or any given year I have been asked is there anything I can do that is quick and easy and fairly inexpensive to make our home more attractive to potential buyers? The answer is yes and there will be some of these easy suggestions which will entail spending a little money but none of these should require a significant amount of cash. If the expense becomes large in terms of dollars and time then you should consider delaying the listing of your home until you have a professional fix these bigger issues. I know virtually every Realtor has their very own list of these types of items. If your Realtor has a different list to follow then listen to your Realtor's advice unless you are totally dissatisfied with this person’s performance and or suggestions. A. Clean all of your home’s windows inside and out. Clean the screens. B. Paint or even touch up the exterior plus fix all damaged screens. C. Curb appeal is extremely important all year round. Make sure the front of your home tells everyone .. Wow this place looks wonderful and invites them to come inside to look. Add mulch to your beds and plant colorful flowers. Pull all weeds and get rid of fallen tree limbs . Make sure grass is cut and front yard is very neat. D. Clear all dead tree branches from both front, back and sides of the home and remove these from the premises. E. Clear out all closets and make space inside. Get rid of stuff blocking entering or leaving the closet. Make sure closet lights and door handles are operational. F. Get rid of clutter throughout the home and garage. Rent storage space if necessary or think about a POD. Minimize stuff on the tops of counters. G. The old adage less is more theory especially applies to furniture. Place extra furniture in storage , sell it or give it to off the payroll children. The less furniture in a room then the bigger the room usually appears. H. Power wash the driveway, sidewalks and patio areas. Remove trash of any kind from driveway and fro0m behind the garage. J. If you own a pool fix all issues and make sure your water is crystal clear and blue in color. K. Make sure all doors, locks and windows work very smoothly. repaid if needed. L. Clean garage and throw away or give away unneeded items. Collect and donate items to Salvation Army, Goodwill Industries or Katy Christian Ministries or to any charity of your choice. M. Closets should have plenty of space between hanging clothes. Store or donate or sell in a garage sale all clothing articles you will never fit into again or are totally out of style! If you have worn something in last 2 years get rid of it. N. Make sure all pets such as dogs and cats plus toys are out of the way for any and all visitors. O. Eliminate bad odors in the home and stop cooking smelly foods for a while. Clean out the cat litter box and make sure it smells fresh every day. P. Repair all wall areas, re-caulk bathrooms, kitchen areas and windows in need. Q. Vacuum carpets and or clean the carpets. Consider cleaning the grout if you have tile floors plus clean the tile. R. Remove excess storage items from attic area and never store flammables in any attic space. I have seen this happen several times! S. Make sure front door works properly as well as outside lights. Keys should open or lack doors easily. If you any questions about these items or selling your home call me and let us discuss how we can market your home and sell it in Katy Texas. When you’re making a big decision like buying a home, people will tell you that you need to be X years old, make Y amount of money, and buy a home in Z location. In order to keep the chatter from negatively influencing your decision in any fashion, you have to carefully weigh out your options. As an Accredited Buyer’s Representative (ABR®) and Professional Realtor, I have helped many successfully make the transition from renting to buying and can answer any questions that you may have. Contact me at your earliest convenience and lets get started finding you a home in the Katy or surrounding areas.. Please read this interesting article which does a good job of covering the renting vs buying a home dilemma. Here’s how to tell whether buying or renting a home is best for you by Jon Coile. washingtonpost.com © 1996-2015 The Washington Post. Zoo Lights lasts until January 9, 2016. It is a fairly easy drive from Katy to the Houston Zoo as long you avoid certain areas and go on weekends. This is excellent family fun and entertainment. Go to theirwebsite for more information. (Note: Above picture taken by and copyright by Bob Gilbert with all rights reserved). Inventory levels in South Katy or MLS area 36 were on the very low side for entire years 2013 and 2014. Recent inventory levels in 2015 have risen but not substantially. Prices during 2014 jumped up versus 2013 rather dramatically which is no surprise to me at all. Builders prices of new homes have risen due to inflation and high demand. Some of the neighborhoods are on the verge of being totally built out which means the builders are running out of lots to build on. I expect prices to remain high and only go higher during during 2015 unless there is a major shift in interest rates upwards. I wanted to start with the last two year to year comparisons so folks get a feel for the trend of this market. Each home is unique and needs to have a expert such as me do a comparable market analysis to determine a potential selling price range. Median sales prices were $387,250 for 2014 versus $ 347, 000 during 2013 which equates to a $40,250 increase or 11.6 %. Average prices ( I prefer Median) $410,160 in 2014 versus $369,999 during 2013. The increase is $40,161 or 10.9 %. These are very high levels of increase and as I said above I expect this to continue during 2015 but at a lower rate. The rates of change from 2013 to 2014 are huge in my mind especially for the Katy market. The sold to list price discount in 2014 was zero versus zero in 2013. Sellers obviously were not discounting from list price. Days on the market was 11 days in 2013 and in 2014 fell slightly to 10 days. Mind you this situation existed across almost all of South Katy which encompasses a huge geographical area with numerous neighborhoods. If you want to buy a home in South Katy the time to take action is right now before interest rates rise to much higher levels. . I wrote and published a Market report for Grand Lakes Katy TX 77494 where I compared year 2014 to year 2013. This comparison showed a large increase in prices for the Katy market. Katy has seen a low but steady rise in prices for the last 8 or more years. This market report can be found here. Total Home Sales - 23 vs 45 : Decrease of 22 which is a Huge drop! Median price Price -$317,000 VS $309, 250 increase of $ 7,750 or 2.5 %. Prices still increasing but maybe not for long. Median Days on the market 21 Days vs 6 days. 38 Active Listing - ranging from $277,000 to $720,000. During 2014 and 2013 the available homes ranged to be 18-23 homes every month all year long. Median Days on Market - 75 days up a large number of days. Pending sales is the good news right now with total sales down and current available homes having a 75 median days on the market. Grand Lakes is still in a Sellers market condition. There are no new built homes as the neighborhood was completed back in 2006- 2007. Some homes are sold very quickly and others are now staying on the market for a longer period of time than in recent prior years. If a home is priced properly considering its condition, size, location etc. it will sell fairly quickly. Houston Methodist West is hosting a Back Pain and Neck seminar on Thursday April 16, 2015. This seminar will be conducted by a comprehensive team of what the hospital terms are ‘“World Class “ spine specialist. They will educate attendees on what they can do to eliminate or reduce back and neck pain. In addition, learn all about causes and prevention of back pain as well as imaging, treatment and rehabilitative technologies. Get your questions answered by experts.The seminar is free of charge and open to the public. This program will be conducted throughout the entire Houston area with the session in Katy being just one of these sessions. Advance registration is absolutely necessary as these types of seminars are in high demand. Registration can be done by calling 713-790-3333 or by going online. Houston Chronicle and Monster.com are sponsoring a free Hire Houston job fair and career expo on Tuesday April 14, 2015. Admission is free and parking is $3. The parking charge at NRG is normally a lot higher. This event will begin 10 AM and last until 3 PM. The fair is being held at NRG Center Hall E and is located at the address shown above. Exhibitors will include a wide range of companies including firms looking for Engineering, Professional, Oil and Gas Professional, Healthcare/Nursing applicants. All Engineering and Oil and Gas candidates need to have two years previous work experience in field they are applying for and Healthcare/Nursing have to have education or previous work experience in Healthcare or Nursing. Career Advancement seminars include Communication & Leadership, Job Search Strategies, and career counseling covering resumes and other topics will be available to attendees. If you need a job or want to make a change in your job this has got to be event you want to attend. Numerous individuals who were working in the Oil and gas industry have already been laid off due to lower oil prices and are in need of new positions. This Fair is advertised as Houston’s largest job fair. NRG Center is an easy drive from Katy in non-rush traffic and certainly is doable if you need a job or a new job! My advice is to show up dressed appropriately, have an excellent positive attitude, good copies of resumes readily available and be ready to interview on the spot. Looking for a job is never easy and becomes or should become a full time job plus for anyone who is out of work. It is harder to look for a new job than the effort expended when you already have a job! Are you going back and forth on whether to continue renting or making the decision to own a home? I came across an article that might help you start asking some of the specific questions related to renting vs. buying decision. As an Accredited Buyer’s Representative (ABR®) and Professional Realtor, helping you find and buy a home when you are ready and able is my main goal. I am always available if you have any questions or concerns. I hope this article proves to be an asset for you. Three Excellent Reasons to Buy a Home So You Can Get out of the “Renting Rut”. Copyright © 2015. Cottingham Mortgage News Blog. All Rights Reserved. Contact me today if you are ready to start the home buying process. Interest rates are still low and there are good opportunities to purchase home in Katy or the surrounding areas. The Villagio Town Center in Cinco Ranch is hosting Summerfest 2015 on Saturday April 11, 2015. The event and fun starts at 10 AM and lasts until 4 PM. Summerfest mission is assist Katy parents with finding things for their children to do during the summer of 2015 and parents can explore several available options. It is already time to start thinking about summer vacation. I wanted to give folks an advance notice of this event so they could plan accordingly. Admission and all activities are free of charge. Another in a long line of family friendly events which are loaded with fun being held here in Katy. Among the numerous attractions include, food, petting zoo, video gaming, face painting, bounce slide, prizes, gifts, live entertainment, giveaways and of course Summer camp Information. Specific discounts for camps and classes are being handed out only at Summerfest. Chick-fil-A will be onsite selling food and you can have your picture taken with the Chick-fil-A Cow. As a first time home buyer or a seasoned veteran home buyer, the last thing you want to do is to put yourself in a difficult and tenuous financial position. That’s why it’s essential to ask yourself some very important questions before you buy and think of realistic answers. Please take a look at this article I found (see link below) that asks some of those important questions all home buyers should seriously consider. The article is geared towards first time home buyers but it is pertinent to all all home buyers. 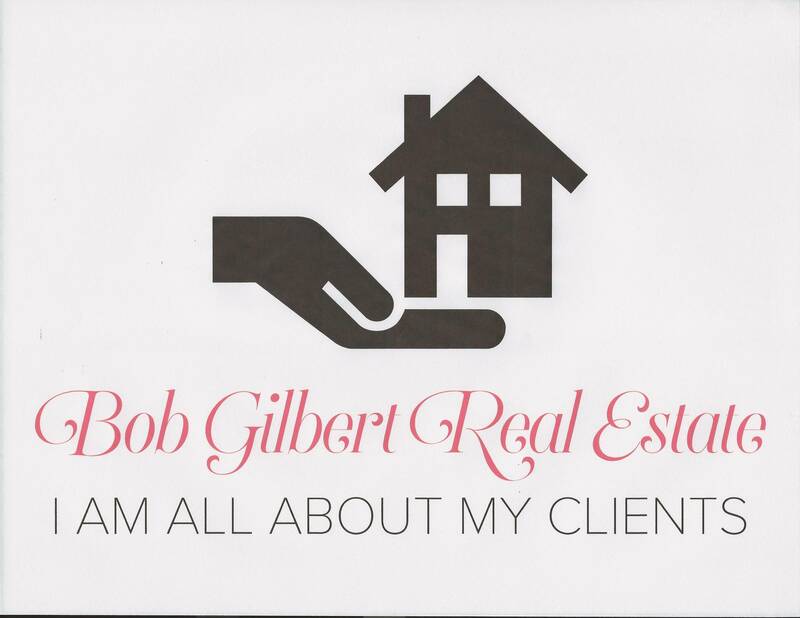 As an Accredited Buyer’s Representative (ABR®) and Professional Realtor, my goal is to make sure you are a confident, satisfied and happy homeowner. Please let me know if you have any questions or need additional information from me. I look forward to hearing from you and working with you! Buying a Home: How to Know When You’re Ready by Sara Fischer. Copyright © 2015. Redfin. All Right Reserved. YES! Fitness Katy is hosting a nutrition seminar on Wednesday April 8, 2015 starting 6 :30 PM and lasting till 7:30 PM. This program could for folks who want to lose weight, need energy, need/want to improve overall health and / or obtain improved results from current workouts. The seminar is free of cost. In addition there is a free exercise class for children ages 4 plus being held during this seminar. People wanting to have their child participate should arrive at 6:15 to register. Seating for the seminar and child exercise class is very limited and all potential attendees are asked to arrive early. The program is presented by Jenny Gutierrez. YES! Fitness Katy is located at 26440 FM 1093 Suite C Richmond TX 77406 and is behind All Star Grill and I-Station. Nutrition is so important for all of us. A nutrition class is a great starting point. Most Doctors in this country have never had a nutrition class. These days folks have to go to a nutrition specialist to obtain expert advice. The Katy Chapter #2255 of the AARP will host its annual Health Fair on Tuesday April 14, 2015. The fair starts at 6 PM. It is being held at the Katy VFW Hall which is physically located in old or Historic Katy at 6206 George Bush Dr. Katy TX 77493 281-744-5302. Crawfish, hamburgers and hot dogs will be provided. Several health related vendors will have booths. All Senior Adults are invited to attend. No pot luck dinner this month as this is the monthly AARP meeting. This might be valuable free health fair for Seniors to attend plus they are providing food. The Cinco Ranch High School Boys Soccer team will play tonight April 7, 2015 at Delmar Stadium in the UIL Texas State Championship Region 3 quarterfinal game versus Houston Math, Science & Tech. The game starts at 7 PM. The winner will move to on to play the winner of the Pasadena vs Alief Elsik game in the Region 3 Championship game. Delmar Stadium is located at 1900 Magnum Houston , TX. High School soccer is a huge deal for boys and girls in Katy TX and the whole state of Texas. High School teams dream of playing in the playoffs and winning a State championship. Above picture courtesy of Bing free to modify, share and use pictures. This is NOT Cinco ranch. Cinco ranch comes into this game with an undefeated season so far with its record at 20 wins zero losses and three draws. Houston Math, Science & tech record is 3 wins and 2 losses. Houston obviously plays a very short season of games. I had a hard time finding any information about this game and some of what I found was incorrect. It would be wonderful if the Cinco Ranch Cougars can make it into the Regional Final and then on to the State Championship game. GO COUGARS! People in Katy should try to go to the game if possible to show local support of what is certainly an excellent team. Tradition Bank in partnership with the Katy Visual & Performing Arts Center ( KVPAC) is hosting an art exhibition open house named “ Making a Mark” on Thursday April 9, 2015. This art exhibition is showing the work of children who have cancer or blood disorders and are being treated at Texas Children’s Cancer & Hematology Centers and presented by the Periwinkle Foundation. The event starts at 5:30 PM and lasts until 7:30 PM. It is being held at Tradition Bank which is physically located at the address shown below. Complimentary wine and cheese will be served. This incredible exhibit shows the artwork of young people whose lives have forever been changed by cancer or blood disorders. All of us should consider supporting these young people in their fight against these horrible diseases.